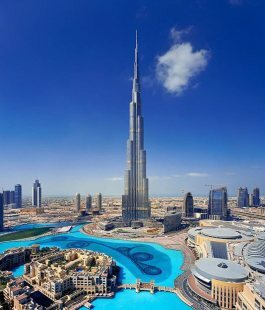 These days when it comes to visiting any Middle Eastern cities, then Dubai is definitely among the top destinations to choose. There are many reasons for that. First of all it’s one of the very few places, where tourists can freely visit, regardless of religious or cultural beliefs, second of all, the whole region has really grown out to become a fantastic tourist destination. With countless sites and programs on offer, the metropolis is not just an international business hub, it’s also one of the most family friendly places in the world, and there is literally nothing you wouldn’t be able to shop in Dubai. Getting there: the easiest way to get to Dubai is by air and its prominent airline the Emirates is flying to and from a great deal of destinations. Dubai is part of the United Arab Emirates which consists of 7 different emirates. Contrary to the beliefs it is not the capital city of the UAE, because that’s neighbouring Abu Dhabi, which is another great destination that has started a huge growth in the past few years. Dubai is a real melting pot because people from all continents and all countries are welcome to live and work there. Besides being a Muslim country, there is a great acceptance of every people and religion given that everyone gives respect to Islam, meaning not consuming alcohol out on the street and dressing more or less modestly everywhere. Despite many people believing that the metropolis can thank its dynamic improvement to oil, this doesn’t really cover the truth. The primary reason for Dubai’s growth could be oil but for many years now, it’s the tourism and business that has become the primary sources of income for the metropolis. In fact Dubai hosts several international events, which makes tons of celebrities visit there rather frequently. Most of the modest and Muslim bloggers visit Dubai yearly, especially for the yearly Modest Fashion Week event that gives Middle Eastern and Muslim designers from all over the world the chance to feature their collections on a huge platform. Dubai is also a centre of jewellery and diamond trade. Best season to visit: although there is non-stop air conditioning going on in every hotel and shopping centre the heat of the summer may be just too much for most of us. The best seasons to visit therefore include springtime, winter and autumn. Old city by the Dubai creek: if you want to see some authentic Arabic and Indian lifestyle and older style buildings this is the place to visit. Here, you can also get boat rides and visit many cultural attractions apart from the old style souks. this is the key area for most people to go when it comes to shopping as it’s housing the key shopping centre of the city the huge Dubai Mall. Giving place to tons of hotels and shopping possibilities alongside its beaches, this is where the majority of tourists get to stay. Palm Jumeirah and Mall of the Emirates the second largest shopping mall is nearby alongside the wonderful Palm shaped island. These are all located in the same area luckily therefore they are best to mention this way. Dubai Mall is surrounded by a huge manmade lake, with lots of beautiful promenades. Bridges, canals and a lovely residential district that’s really worth visiting. You can even take a boat ride in here if you want to. Every evening the huge fountain would start off around 8 and would not stop for half an hour. It’s such an amazing water-light show with music that each evening there is a rather huge crowd there waiting for the fountain to start off. And facing this huge lake you can also get to see the huge Burj Khalifa, the tallest ever residential building in the world. is also the largest shopping centre in the world giving home to the largest ever aquariums that was ever featured in shopping mall, so it’s a touristic site in itself. When in Dubai, there will be several instances where you would say ‘only in Dubai’ and Ski Dubai is a great example for that. 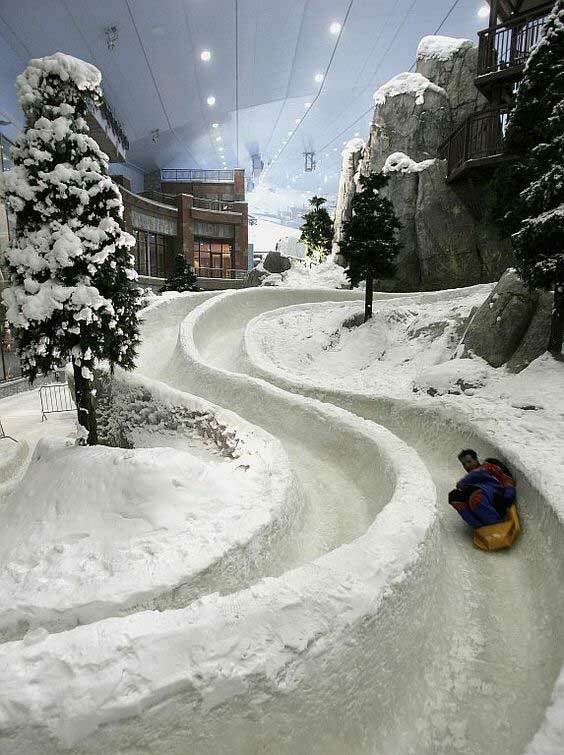 Because it’s only in Dubai you can get to find a place to ski and play with snow. This is a fantastic outdoor shopping area where every country has its own building offering goods which were made in that country. It’s a great attraction and therefore it’s always full of people. Even Dubai has its area where you can get to find some of the old Middle Eastern charm in form of beautifully restored old style buildings also featuring old style covered marketplaces which are called souks in the Arab world. The most prominent souk here is of course the Gold Souk but you can also get to find Spice Souk and general souks. In addition, you can get a boat ride through the large canal that divides Deira district from the main Dubai city. Almost all the celebrities hang out here on a daily basis and it’s for a good reason. This top notch resort has one of the best ever locations providing a direct view to the sea, located in the first ever manmade Palm shaped islands of Dubai called The Palm. You can reach it with a special air conditioned monorail. Unlike elsewhere in the world, people here often hang out in hotels because of the various services they offer. 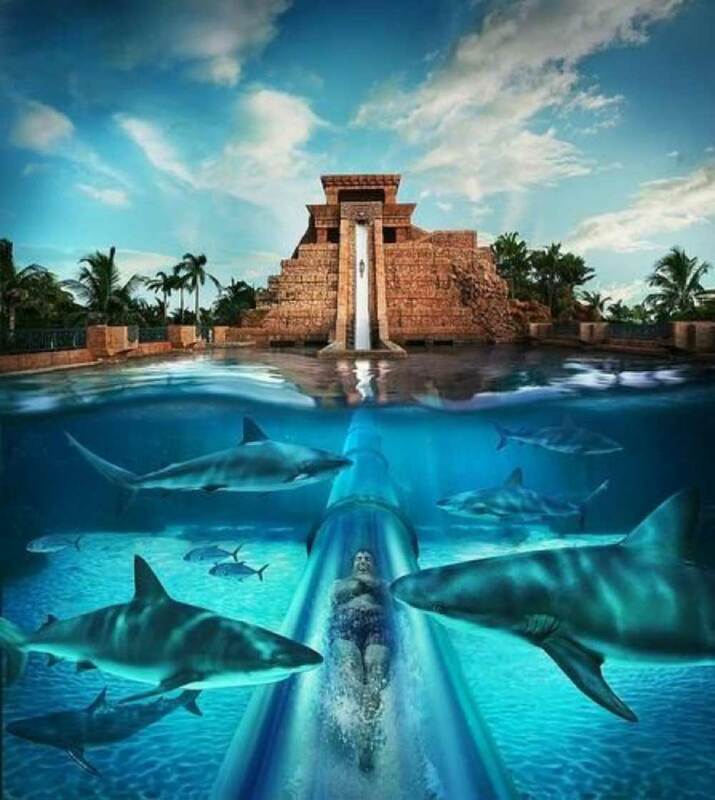 Atlantis for instance has its huge and beautiful waterpark the Aquaventure, with its own Dolphin Bay and so much more, that it’s for sure more than just a daily program for you and your kids. Apart from that, the resort is packed with cafés, restaurants and shops. Even those royalties who live in Dubai actually come here and hang out here all the time. Dubai, being an ultramodern city is in lack of natural seaside promenades where you can enjoy a great deal of cafés, sweets and the sight of water. That’s why Marina Walk was created in the Dubai Marina that’s a seaside skyscraper residential area. It’s stacked with cafés, restaurants and of course it also has its own shopping centre. When you are in Dubai, there is no way you wouldn’t want to get out to the desert if only for a few hours. Desert rides are incredibly popular among the tourists. Your hotel can organize the ride for you in no time. The rides however generally start in the early morning hours to avoid the heat of the desert. If you want to go overboard and you have the budget for doing so, you can even do a balloon ride over the desert. The world’s first 7 star hotel is really worth visiting as it’s simply beautiful. In addition it has a tremendous underwater restaurant too. 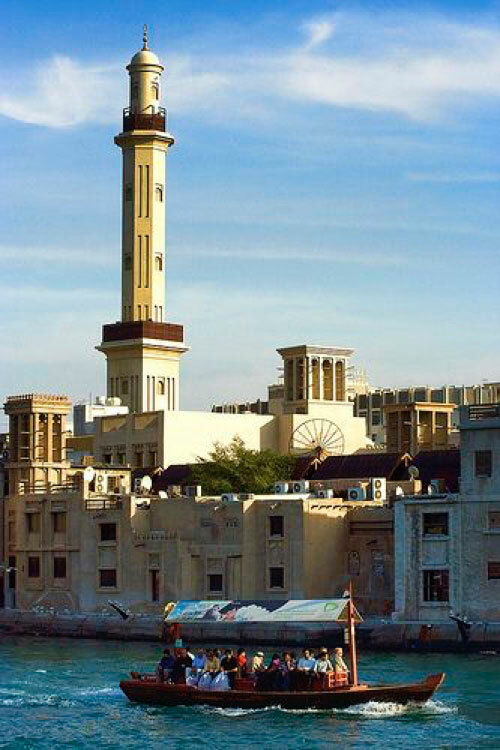 Situated by Deira where you can also get to find the old town and the souks the Heritage Village is a cute fun place which help people learn about the original fishermen’s culture of the region back in the day. United Arab Emirates is an Islamic country, which also means that the Islamic Sharia law has been implemented in the local laws. However every law has been carefully constructed not to disturb the international atmosphere, as today the majority of people living and working in Dubai are of non-Muslim background. Actually the majority of foreigners living here are of Indian and Pakistani background, this way the business life of these countries are heavily interlinked. The locals living in Dubai do their best to preserve the Middle Eastern culture. there is literally no better place on Earth for shopping than Dubai. There is no good which you wouldn’t be able to find here and the city gives home to many of the major American, European and Asian brands too. The most popular beaches include the Marina beach, the Jumeirah beach and the Barasti beache. As I mentioned before Dubai is one of the best places on Earth for kids and families. Every shopping mall and every hotel has kids’ programs, animation and other programs. 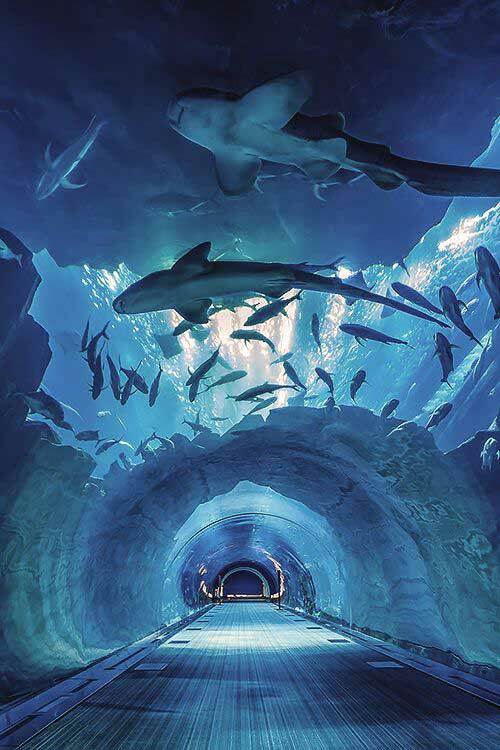 Places like the Dubai Dolphinarium, Ski Dubai, the Dubai Zoo, and the Wild - Wadi Waterpark or even the ski and skate courses are fun places to go to. Dubai is also a sports center and it’s a real haven for those being fan of watersports and golf especially. Dubai is served by its own Metro line and it also has various bus lines. Most people however take taxi or rent a car when they are in Dubai. 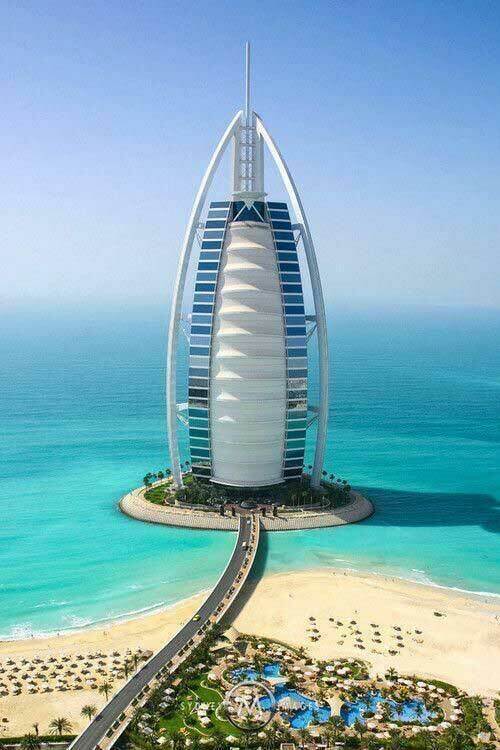 Dubai as wonderful as it is definitely for those who can afford it. It’s an expensive place therefore it’s not for everyone’s budget. Before travelling to Dubai, check with the nearest consulate if you need to obtain a tourist visa or not.